Kit’s attempts to fit in at Covington go off course when her horse, TK, is sold. Can she find him and bring him home, or will she have to get back in the saddle - on a new horse? Life’s been difficult enough since American teen Kit Bridges moved to England with her dad to start their new life at The Covington Academy, an elite equestrian boarding school. Her roommate, Anya, turned out to be an Indian princess - a secret Anya didn’t bother to confide to Kit before fleeing Covington, seemingly for good. 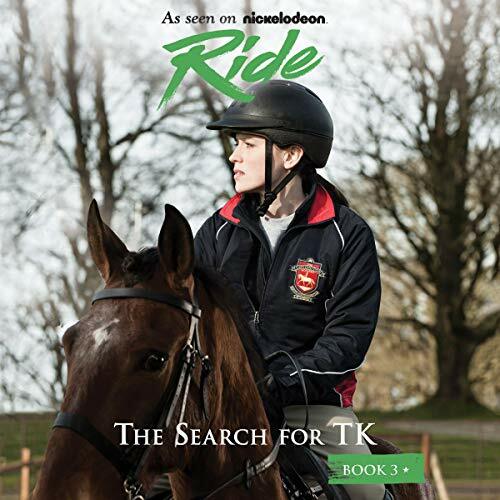 The boys in England are charming, but they’re too busy fighting for Kit’s attention, and she’s focused on the only one who really made Kit feel like she belonged: wild, unruly horse TK. But TK behaved so badly at the House Cup that the headmistress, Lady Covington, sold him and sent him away from the school. If Kit could only find the bill of sale, maybe she could find out where TK is, bring him back, and convince everyone to give him a second chance. Then again, second chances aren’t exactly Covington’s specialty. ©2018 Breakthrough Entertainment, original book published by Candlewick Press. (P)2018 Brilliance Publishing, Inc., all rights reserved.